Prior to European settlement, the Noongar people used the area as a source of water, for fishing and for catching waterfowl. In 1830, John Butler, a settler, set up an inn at Freshwater Bay (in modern-day Peppermint Grove) to attract travellers on the road from Perth to Fremantle. A wetland became known as Butler’s Swamp (later Lake Claremont). After the arrival of convicts in the colony in 1850, work began on constructing the Fremantle Road. The government allocated land on the foreshore and at Butler’s Swamp to 19 pensioner guards and their families, and a permanent convict depot operated at Freshwater Bay (until 1875). A state school (1862) and church were built, and a community grew around what is now Victoria Avenue. A settler named James Morrison acquired a property at Swan Location 702, and named it Claremont Estate, after his wife, Clara (née de Burgh). During the 1870s, a number of prominent families, including the Triggs, Sandovers and Stirlings, acquired land in the district, around the later site of Christ Church Grammar School; some of their homes were later bought and used by the school. 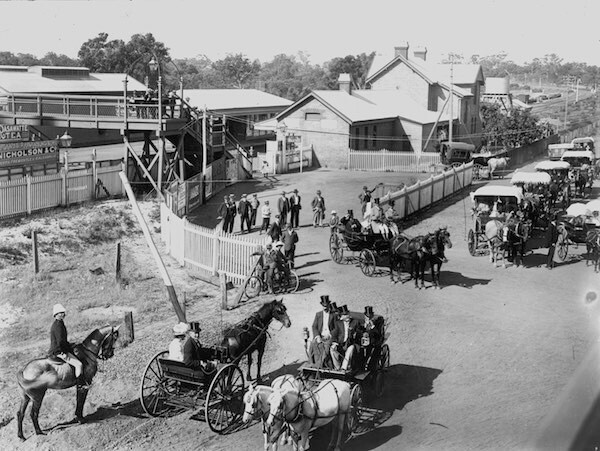 In 1881, the railway line from Perth to Fremantle was built, along with a station at Butler’s Swamp; the name of the station was changed to Claremont in 1883. The focus of the community shifted to the area between the railway line, Fremantle Road (Stirling Highway) and Bay View Terrace. The Freshwater Bay school ceased to play a central role; it became a boarding house nicknamed “Appy One” in 1892 (and in 1975 a museum). Land speculators bought in the area and subdivided blocks at varying sizes, leading to a wide class diversity within the suburb. By about 1903, the entire suburb, other than a dozen or so streets, had been subdivided, and by the Second World War, the community was firmly established. The size of Claremont is approximately 5 square kilometres. It has 8 parks covering nearly 22% of total area. 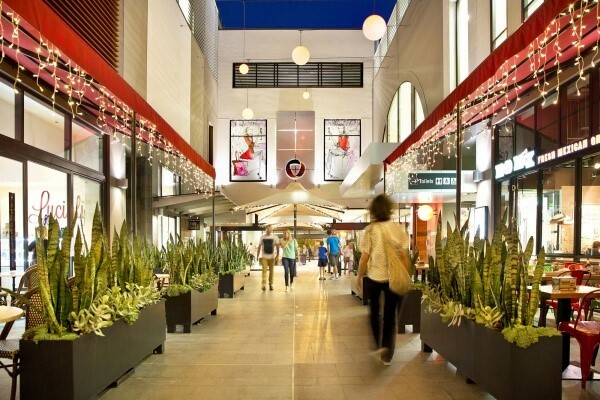 The population of Claremont in 2006 was 7,151 people. By 2011 the population was 7,591 showing a population growth of 6% in the area during that time. The predominant age group in Claremont is 15-24 years. Households in Claremont are primarily couples with children and are likely to be repaying between over $4000 per month on mortgage repayments. In general, people in Claremont work in a Professional occupation. In 2006, 63.5% of the homes in Claremont were owner-occupied compared with 62.6% in 2011. Currently the median sales price of houses in the area is $1,225,000. The size of Nedlands is approximately 6 square kilometres. It has 6 parks covering nearly 9% of total area. The population of Nedlands in 2006 was 10,022 people. By 2011 the population was 10,170 showing a population growth of 1% in the area during that time. The predominant age group in Nedlands is 0-14 years. Households in Nedlands are primarily couples with children and are likely to be repaying between over $4000 per month on mortgage repayments. In general, people in Nedlands work in a Professional occupation. In 2006, 68.6% of the homes in Nedlands were owner-occupied compared with 68.4% in 2011. Currently the median sales price of houses in the area is $1,440,000. With Recent information collected by CoreLogic RP Data, Nedlands, April this year the median sales price for a home in Nedlands was $1440,000, although down $60,000 from the same time last year, it is still up by $60,000 from April 2013. With 139 properties sold in Nedlands in the past 12 months, the majority (97 properties) were sold between $1 and $2 Million dollars, with 23 properties sold for over $2 Million. In the past 10 years Nedlands has seen the median house prices change as much as -19.23% in 2007 to +11.65% in 2013, and most recently in 2016 -0.66%. contact our office for further information or to speak to one of our professional, friendly and experienced sales team. The rains are fast approaching and traditionally May, June and July are our wettest months! At Morgan Sudlow our property management team is constantly looking to prevent damage to our client’s properties by keeping a step ahead of the seasons. Regular cleaning extends gutter life, reduces the chances of roof leaks and prevents damage to the property and tenant valuables through water penetration. Seasonal reminders to the owners of our properties for items such as gutter cleaning, reticulation maintenance and air conditioning servicing is just another way Morgan Sudlow protects our client’s investments. The newly completed luxury apartment and commercial building “Dalkeith on Waratah” is now a hive of activity with new owners and tenants occupying the premises. These thirty one luxury apartments including nine exceptional third level penthouses are spacious and feature gallery-like mezzanine living areas. Every apartment delivers beautifully proportioned living spaces, combined with a wide range of generous and practical floor plans, affording a unique sense of space and harmony. The median house price in Dalkeith (based on settled sales @ 27th March 2017(REIWA)) is $2,350,000 with the Perth metro area median price being $526,000. The land price in Dalkeith is $1,650,000 with the Perth metro median price being $526,500. 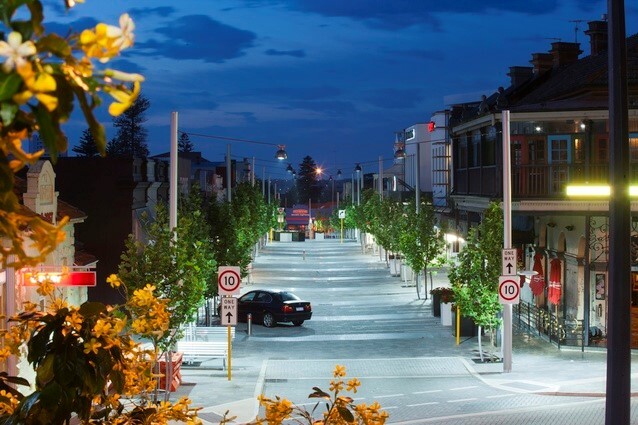 The annual growth in Dalkeith has been 3.2% and 2.2% in the last quarter (REIWA). As at 30 March 2017, there are currently 51 properties on the market in Dalkeith with listing prices ranging from $1,500,000 to $12,500,000 (Core Logic RP Data). There is a high demand for properties in Dalkeith with 553 visits per property per day, opposed to the average in WA being only 177 views (realestate.com.au). When vacating, upon or beyond the expiry of the term of lease, you are required to give 21 days written notice of the date on which you intend to return possession of the premises. If you have a fixed term tenancy, which has not yet expired, breaking your lease can involve considerable expense – see our “Breaking your Lease” section. If your lease is due to expire and you do not wish to renew, we would appreciate 21 days written notice prior to the expiry of your lease so that we can commence advertising for the new tenants to minimise the vacancy period. A letter will be sent to you confirming your date of vacation, together with a final checklist, setting out your obligations. We remind you that until you return the keys to the property, you’re obligation to pay rent as per the tenancy agreement will continue, so it is imperative that you return the keys on your vacate date or before. Failure to return the keys (including all copies you have made) will involve rent being charged up to the date they are returned, or the locks are changed (at your expense). To make sure you receive the maximum bond refund, you should ensure that your rent is completely paid up to the date you hand your keys back and also ensure that the house is left in a clean and tidy condition. It is also a condition of your Lease that any carpets be professionally cleaned upon vacating and a receipt to this effect must be submitted to the Property Manager when the keys are returned. All cleaning, repairs and reinstatement works must be completed prior to the nominated vacate date to a professional standard. Please make sure that you disconnect utilities upon vacating and have your mail redirected through Australia Post. Final inspections are conducted after the keys have been returned. The final inspection report is closely checked against the Property Condition Report completed at the commencement of the tenancy, to ensure that there has been no damage (beyond normal wear and tear) and that no fixtures have been removed (e.g. light fittings). If the Final Inspection is not up to a satisfactory standard, the Property Manager will contact you. Your Bond Disposal Form will be returned to you promptly after the property is fully vacated, less any deductions that may be agreed between both tenant and agent. A bond refund cannot be applied for until all keys have been returned to Morgan-Sudlow & Associates and the Final Inspection has been carried out. Bond monies cannot be released until all parties have signed the Bond Disposal Form and then it is the Bond Administrator that makes the required disbursements. • Rent and other costs, for example gas, electricity, water consumption etc plus all upkeep of the property e.g. lawn and garden maintenance etc are payable until the property is re-let or the lease term expires. • Reimbursement to the Owner of the unexpired portion of the Leasing Fee charged to the owner at the commencement of the tenancy. • Reimbursement to the Owner for the cost of the final bond inspection. • Advertising costs – $100 of which is payable in advance. • Rent and all outgoings on the property until the lease expiry date and all upkeep expenses prior to the expiry date. If you are considering breaking your lease, it is recommended that you advise your Property Manager immediately. Please ensure that your reticulation system is working on your designated days. To find out those days, go to the Water Corporation Website. All sprinkler heads should cover all parts of your lawn. If there are dead patches that means the heads are not working and are possibly clogged up and need to be cleaned out, or they have been damaged by cars driving over them. Please do not park cars on the verge or on the lawn. Please take time to check all your sprinkler heads and replace them if they are faulty. The sprinkler heads are the tenant’s responsibility. If there is a problem with the reticulation system itself then you must report it to our office and we will arrange to have it seen to. Should you have an EXTREME after hours emergency, please contact our duty mobile on 0419 047 423. Otherwise please report any maintenance in writing or facsimile 08 9386 0001. If it is an appliance fault that you are reporting, please try to include the make and model number – in an effort to speed up the process. Tradespeople will make contact with you direct to arrange a time and if firm arrangements regarding access for any tradespeople are not kept by you, the service charge for calling the tradesperson will be automatically passed on to you for payment. As such if the maintenance turns out to be a result of your actions, the fee will be passed onto you for payment – ie the toilet is blocked and it then turns out the blockage was due to your child flushing a toy down the toilet. If you have a break in with resultant damage, you must report it to the police in the first instance, and obtain a Police Report Number. If you lock yourself out of the property after hours, we are unfortunately unable to give you access at this time. You would need to call a locksmith at your own expense. Simple “drive by” inspections of our rental properties are a common occurrence. We ensure this exercise is conducted on a regular basis, in an effort to keep an eye on lawns and gardens in particular. We also encourage our Perth based landlords to make regular drives past their property to ensure its satisfactory upkeep – so tenants beware and remember to keep up the good work, both inside and out! You will be advised by mail with 7-14 days notice of a routine property inspection being due. This will occur approximately six weeks after you move in and on a three monthly basis thereafter. You do not need to be home during inspections, but your co-operation is appreciated. These inspections are a vital means of assuring the landlord that his/her property is being cared for and to also see what routine maintenance may be required. You cannot refuse entry to a Property Manager or property owner if the correct notice has been given and the proposed time of entry is deemed to be reasonable. If you are unable to attend you can arrange for a friend or relative to be present; otherwise the Property Manager will enter the property using the office set of keys. • Lawns must be mowed, edged, raked, well watered and gardens weeded. • Cobwebs to be removed from outside the property as well as inside. • Carpets to be vacuumed, floors mopped. • Exhaust fans/rangehoods and air cond. filters to be free of dust and grease. • Marks on walls and around light switches to be wiped clean. • Ovens, stove tops and grillers to be clean. • Shower recess and bathroom tiles to be free of grime. • Swimming pools to be clean and chemically balanced. Your Property Manager should be advised immediately of any motor or filter problems with the pool. • Driveways, verandahs and pathways to be swept. • All maintenance problems or damage must be reported immediately to your Property Manager. • Be sure to report problems with your reticulation (other than sprinkler heads, which is a tenant responsibility). • Windows to be cleaned. • If a dog is on the premises or if there is an alarm, please notify our Office.